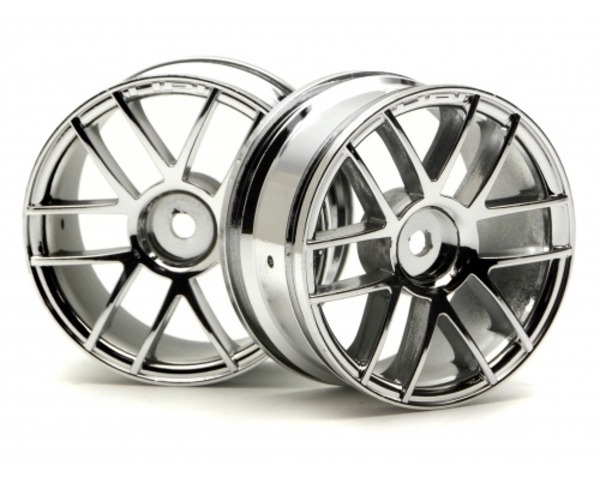 This is a Pair of 26mm Chrome Split 6-Spoke Wheels from HPI. For 1/10 scale touring cars. Six pairs of thin spokes. Two Chrome 26mm Split 6-Spoke Wheels.